Coming to Burlini Studio of the Arts has been a wonderful decision, and has been one of my best experiences in the art world. Chris is a great instructor, he can read who you are throughout your canvas, and he always has something enriching to say to improve your piece of art for the better. It is the first time in my life that I experiment with oils and I find it fascinating! When you come into the Studio you will always find a space ready for your own use. Everybody is so nice and friendly! I just love coming to this place, I'm always looking forward to it! Born in Bolivia and a business woman with a bachelor’s degree in business administration and a master’s degree in finance, she recalls how all her notebooks, folders and text books inevitably ended up with her drawings scrawled amongst the pages. She lives in Florida with her husband and two children. Despite her busy schedule, she always finds time in her day to paint. Her goal is to become a professional artist whose work transmits positive energy and inspiration to others. 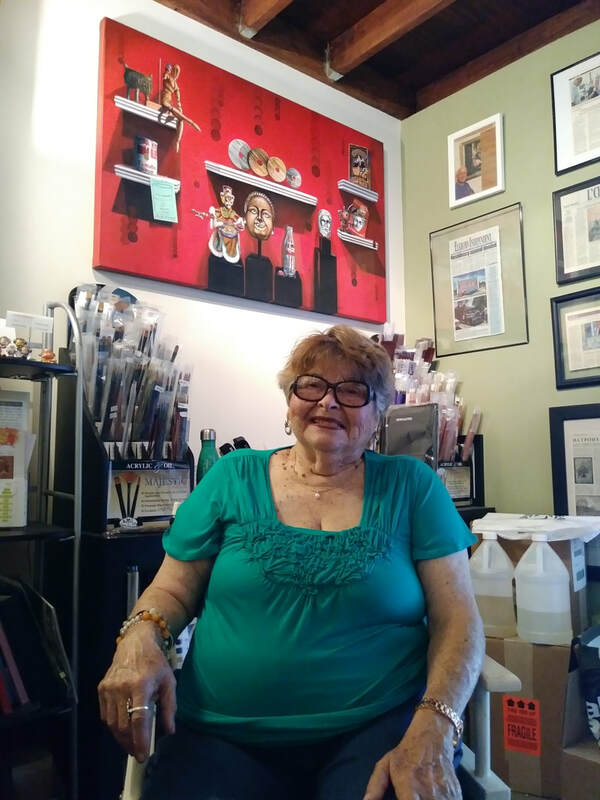 “In the Burlini Studio, you can see how art gives you the possibility of creating something marvelous, a gift to people, the immortalization of things or moments, or simply delighting others. You never stop learning new things”. ​Life is serious but ART is FUN! ​My husband retired a few years ago, and we decided to move to the Polo Club in Boca Raton, FL. When I first came to FL, I had no idea what I was going to do, so a friend suggested I try painting. I showed up with a canvas and paints at the Polo club art class with Chris Burlini, and I immediately knew this is for me. After finding out Chris has a studio, I started coming to the studio as well as painting at the club. The studio is very welcoming, full of wonderful people, and have become my second family. Being with Chris has helped me become an “Artist”. He is kind, patient, talented and knowledgeable. He also gives me encouragement, joy and confidence. I look forward every time I get the privilege of going to the studio to spend the day painting. Thank you Chris and Belinda for encouraging me to find my PASSION! What would I do without my Art Classes!!! 14 - YEAR - OLD Emma Brauer finds art to be..LIMITLESS. "I have a passion to create something- to bring stories to life," she says. "Art can be anything. It can have meaning or not, depending on the person. Art offers the freedom of expression and exaggeration of reality." Fueled by the common interest of art amongst her friends, Emma began digitally drawing at the age of 10. From the IPad to sketchbooks, her drawing became insatiable. "All I want to do at the end of a day is draw," she remarks. " I love having the ability to draw or create something that will be enjoyed by myself or someone else later. I love looking at my beginning drawings and see how I've evolved". Primarily self-taught through YouTube videos, cartoons, video games and books, her favorite style of art is referred to as "Western-style Anime". Painting had yet been an untouched medium for Emma until recently. 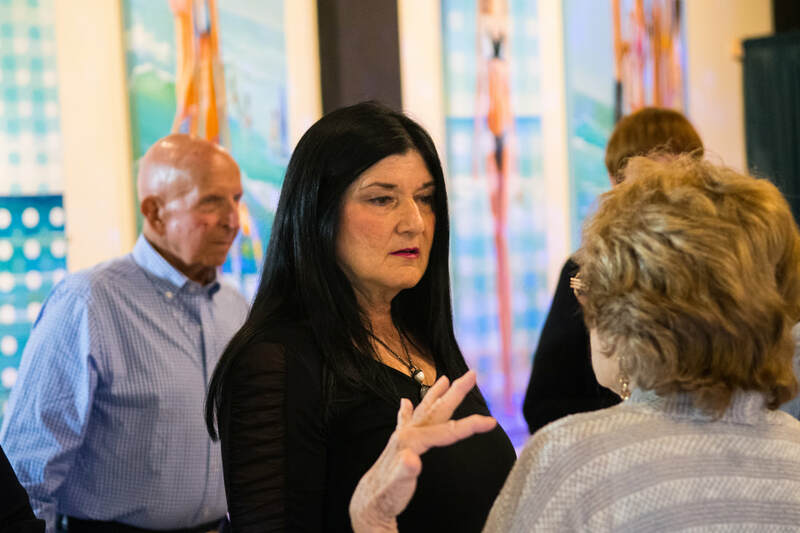 As a young artist, she was so grateful to find Chris Burlini and his Boca Raton painting studio. "Mr. Chris ha given me more technique in my art, not just in my paining. He has begun teaching me how to become a true and realistic artist; to know that it is more than paint and canvas. It's a great feeling to know that someone sees my potential and can help me to bring it out. I consider him a mentor'. Since the age of 6, Emma has been home-schooled, so she is no stranger to self-initiation and following a passion. 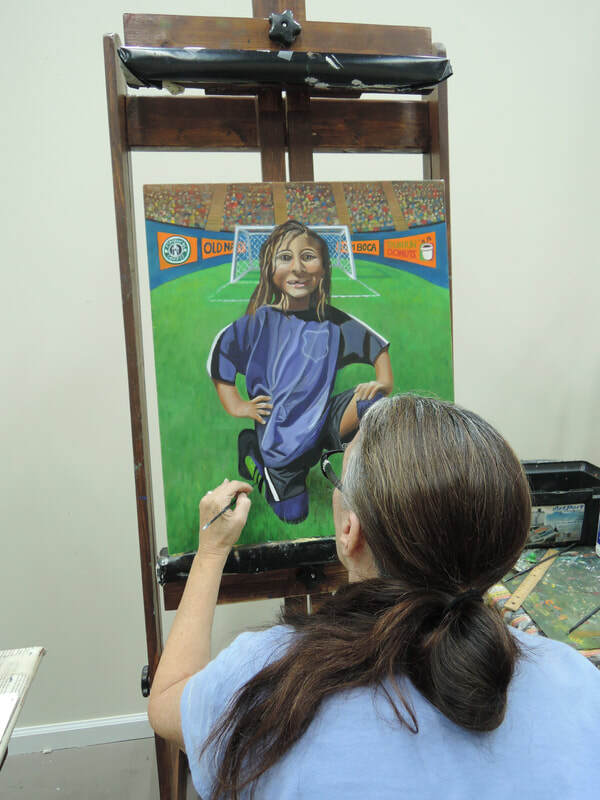 Ultimately, this is a passion that has given her a goal of becoming a professional artist one day. A goal, she hopes, can be achieved through hard work under Chris Burlini. Born in Saint Louis, Missouri, this now-native Floridian states that art inspires her because "It is so vast. There are no real limits to rules to art. You can constantly learn". and she makes the most if it. Emma spends about 20 hours a week working on her art, whether it is in the studio or at home. When she's not working on her art, Emma enjoys studying history philosophy, Latin and mathematics. she also loves performing stand-up comedy and volunteering with local theater group. When it's time for university, she hopes to attend Rhode Island School of Design or Savannah College or Art & Design; but in the meantime, she reminds her mom that she still loves "just being a kid'. GO AHEAD ----- Ask me my favorite day of the week! It's always the day that I go to art class! But, that was not always the case before changing from an art school to Chris's studio. I was unhappy, confused about starting and developing a painting, my confidence was on zero, and I was ready to quit. Thank goodness for my friend who convinced me try Burlini's Studio of the Arts. under Chris's guidance, his understanding of my mind set, and his teaching me to embrace my nature style of painting, I have certainly made enormous strides. Add to that equation, Belinda's support and loving care - how could one fail! GO AHEAD ----- Ask me how far I will go under Chris's tutelage? My search for a place in where to paint was ended when "The Burlini Studio of the Arts" was recommended to me. What a wonderful discovery!! Chris Burlini is an inspiration! A great talent and superb teacher, sharing his techniques with generosity. The warm, friendly atmosphere in the studio make it a perfect place to be a happy creator. ​Burlini Studio of the Arts three years ago. And that changed my life completely! The studio is very welcoming, it's warm and friendly, full of talented artists. What amazes me is how Chris Burlini is able to reach into the psyche of each student, to instruct and to encourage, so we reach our greatest potential as artists and compassionate people. Meeting and learning from Chris has been a gift to my life at age 82. This is WHAT I do when I am NOT painting! With the utmost admiration, love and respect. 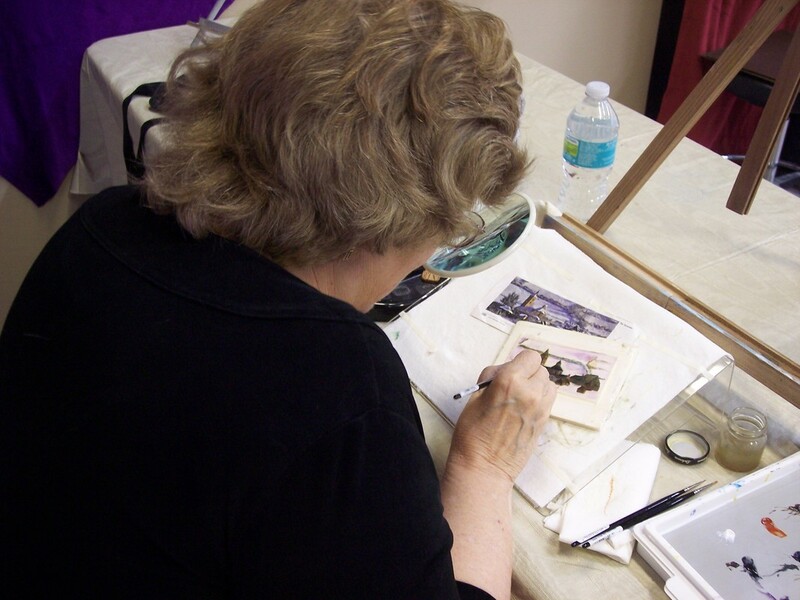 I have been blessed to find the most rewarding cultural premier painting studio in South Florida! This place is the Crown of Jewel!!! I met Burlini over 8 years ago, and through his guidance, tremendous knowledge, insight and direct hands on teaching, it has changed my life in so many ways - I have a calming artistic space in my life! I could never have achieved my art work without Burlini at his one of a kind studio. He can look at your canvas and assist you to transform a vision into an incredible piece of art. I could never have evolved as an artist without him and my AHA moments through his unique method of teaching. With his love of art and technical abilities, Burlini directs his energy towards each individual and their level of talent, answering every students' own needs and developing each person's creativity. Don't miss this opportunity of a lifetime to study art under Burlini! From my experience with Chris over the last several years, I have gone from a novice painter to someone who can create, exhibit, and sale my artwork. Chris has taught me techniques, to think creatively and to finish a painting to perfection. His patience is beyond the norm, his enthusiasm is unparalleled, and his kind support makes every student feel special. All of this is done in a relaxed environment with inspirational music, delicious coffee and goodies too good to pass up. Thank you Chris for some of my best days of my week and know that I look eagerly forward to each and every painting day. Burlini is more than a renowned, super talented artist. He is an AMAZING instructor! Fortunate is the student who takes painting lessons from Burlini at Burlini Studio of the Arts. I have been a student of his for seven years, and am thrilled with the progress I have made. Chris’s goal is to make each student the best artist that person can be. 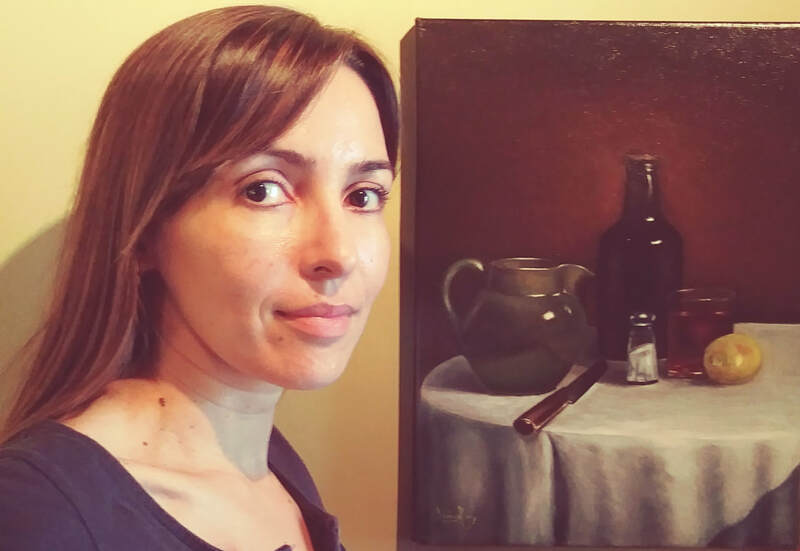 Through his encouragement and excellent instruction, Burlini is able to transform a beginner with no background in art into an accomplished painter. The painters at the Burlini Studio of the Arts are all on different levels in ability, painting technique and artistic acumen. Chris is truly genius as he is able to approach each one on their individual level, this is not an easy task, but Chris is up to it at all times. "Working with Burlini, one would immediately comprehend the artistic depth and attributes of an Italian-master-trained artist who can readily transform "a sow's ear of a painting onto golden threads of artistic expression". Burlini's genuine passion to nurture and inspire his subjects creativity is his truly unique skill and capability. With obvious devotion and dedication, Burlini goes out of his way to provide his students with the opportunity to display their art work at local galleries, museums and other venues. Uniquely, the studio also serves as a central locale for visiting artists to demonstrate their varied artistic styles for the benefit of the student body". Coming to the Burlini Studio of the Arts is to find joy in artistic expression of all dimensions of painting. From the very large (measured by the foot) to the very small (measured by the inch) the expertise and vision of Chris Burlini interacts with the artist to create an expression of art that is exceptional. Chris is one of only a few artists that is able to demonstrate, explain, clarify and empower each individual to exceed their current capacity of painting. No matter what the level of experience or the age of each student, Chris is able to aid and instruct them to achieve their goals. In fact, because of his instruction higher goals are often needed. His partner, Belinda, provides an atmosphere of encouragement and has the ability to interpret the needs of the students. The studio is airy, light and conducive to enjoyment of the painting experience. If you want to explore your potential or hone your skills, this is the place to be.